The Supreme Court, on Friday, remained adamant on its unwillingness to entertain a Public Interest Litigation that alleged that political organizations were resorting to hartals despite several judicial pronouncements banning strikes and bandh calls. “Hartals can never be unconstitutional. Right to protest is a valuable constitutional right. How can we say hartals are unconstitutional.” a Bench comprising Chief Justice J.S. Khehar and Justice D.Y. Chandrachud said. The Petitioner thereafter, decided to withdraw the plea. The Court was hearing a Petition filed by Advocate Shaji J. Kodankandath. The plea condemned strikes for their affect on the revenues, daily wage workers, students, patients, tourism industry and the people in general. It relied on the decision in the case of Bharat Kumar K. Palicha v. State Of Kerala, AIR 1997 Ker 291, wherein the High Court of Kerala had declared bandhs organized by political parties as unconstitutional, being violative of the Fundamental Rights of the citizens. This decision was accepted by the Apex court in the case of Communist Party of India v. Bharat Kumar, (1998) 1 SCC 201, wherein it had accepted the distinction made between a bandh and a strike, observing that a bandh interferes with the exercise of the fundamental freedoms by other citizens. 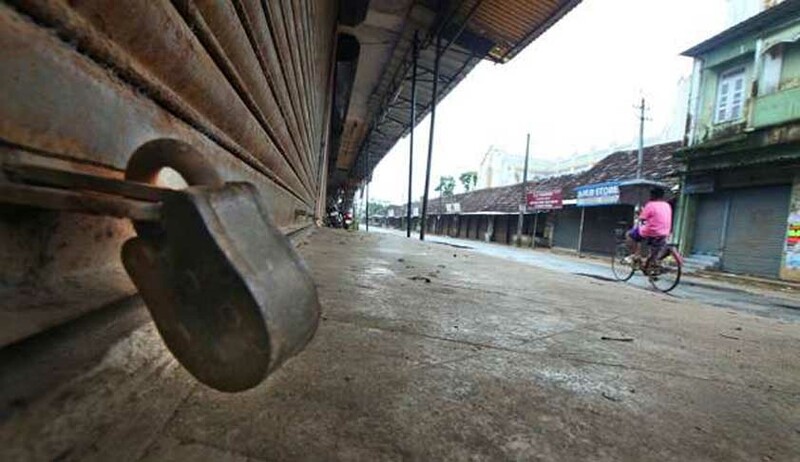 The Petition had further made reference to the penalty imposed in 2004, on Shiv Sena and Bharatiya Janata Party, for holding a bandh in Mumbai to show dissent after a series of bomb blasts. It had then sought a declaration that hartals interfere with the fundamental rights of the citizens, and are illegal and unconstitutional. It had also demanded that the Election Commission be directed to derecognize political parties which impose this “unconstitutional form of protest”.